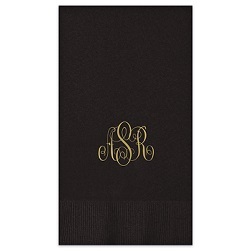 Wow your guests with these unique personalized party napkins. 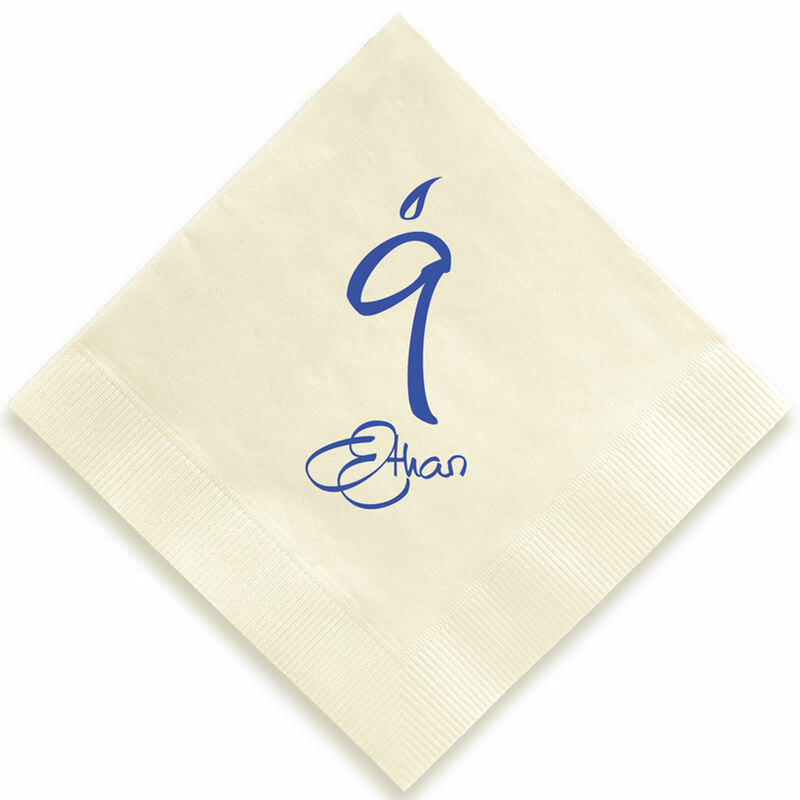 We’ll transform the numbers in your age into festive candles above one line of personalization. 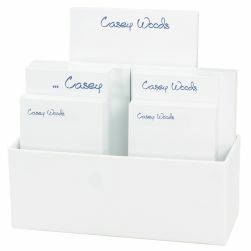 Choose from a variety of lettering styles, paper colors and foil colors. 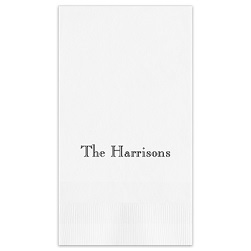 Also available in a coordinating guest towel. Personalize your birthday party napkin today.